I have always loved Father’s Day, but now that I celebrate it as a dad, I have a newfound appreciation for it. Each year, I enjoy spending quality time with my kids, just like I did with my dad growing up. Some years, we build blanket forts and watch the US Open golf championship, other years we have taken a family trip to the natural history museum. The whole point of Father’s Day is to spend time with your kids or your father and appreciate the time you have with them. I am lucky enough to feel appreciated every day of the year, but I can’t lie — having a day is nice. And along with having a dedicated day — of course — come gifts. I have yet to receive a necktie, #1 Dad mug, or a shirt with some form of the word dad on it. My kids know me well enough to understand my sophisticated needs. OK, so it’s my wife that does the shopping since the kids are so young, but I know the sentiment is still there. You could max out all of your credit cards buying gifts for dad, and it still wouldn’t come close to showing the love you feel for him. Plus, he would probably tell you to save your money. So, here are a few tips for finding the perfect Father’s Day gift this year — without spending a fortune. Dads get a really bad rap when it comes to fashion — and I mean a really bad rap. But we can look good if given stylish clothes that we’ll actually wear. You may think dad needs something utilitarian — like a 20-pack of tube socks, a fanny pack, or cargo shorts that can hold a week’s worth of supplies — but you’d be surprised what kind of looks he can actually pull off. Except for skinny jeans. Not many dads can pull those off. Instead of a fleece vest, try getting him a more en vogue Ralph Lauren version from Macy’s. You could help him replace those white tennis shoes with a comfortable pair of Tommy Hilfiger perforated oxfords. Or upgrade his activewear collection with some comfortable — but stylish — options from Nike or Under Armour. There is no doubt any dad would appreciate a fanny pack or tube socks if his kids picked them out. But you can also buy him something that will make him avoid becoming a dad fashion meme — and he’ll be grateful. Plenty of clothing retailers have Father’s Day sales, including Men’s Wearhouse and Kohl’s, so you can get the latest fashions at a price dad would approve of. Relaxing is a time-honored dad pastime, so gifts that help him kick back are always appreciated. If dad likes to sip spirits, think about buying him some reasonably priced Teroforma Whisky Stones that can be put into a nice glass of bourbon to keep the drink cold without diluting it. Teroforma Whisky Stones are perfect for any dad who likes to relax with a nice scotch. Other dads like to use their morning routines to calm down before they start their day. For him, a subscription to Dollar Shave Club is an excellent choice. Besides delivering razors every month, Dollar Shave Club sells shave creams, butters, and skin care products that can leave your dad refreshed and ready to face the day. I love to be outside, whether it is playing in the backyard with my daughter, grilling a meal during the summer, or even breaking a sweat while working in the yard. And my wife knows that the quickest way to get me to do more yard work is to give me some new tools to use. First, it was a lawnmower, then it was hedge trimmers, and most recently a combo weedeater/edger. There is something about having job-specific tools that make you feel like getting things done. This year, I’m keeping my fingers crossed for a pressure washer. 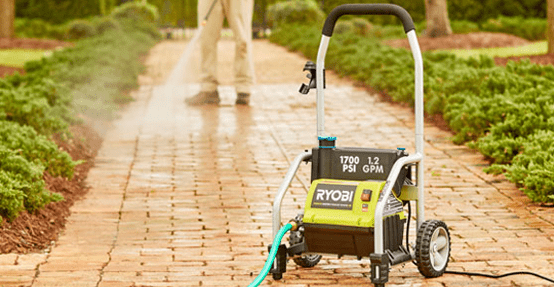 A powerful, portable pressure washer would be a great gift for any dad, including me. But my family also knows that I don’t want them to spend a fortune on top-of-the-line tools. So, if you’re looking to get dad that perfect new tool or piece of power equipment, retailers like Home Depot offer special Father’s Day savings that can help bring down the cost of that new toy for dad. Or, if dad just wants to relax outdoors, consider buying him a durable hammock so he can nap in the fresh air. While the latest technology isn’t always on sale, dad certainly won’t complain if you get him an Apple Watch. But there are ways to find good deals on plenty of tech gifts that he will love. Check eBay to save on Bluetooth speakers so your dad can listen to his music anywhere. Or browse eBay’s savings on smart TVs, surround sound systems, or even a home cinema projector. Be sure to check eBay for Father’s Day savings on home electronics for dad. Smart home products can also make great gifts and aren’t as expensive as you might think. You can get dad a smart outlet that allows him to turn off an appliance over a wifi connection for less than $25. Or you can buy smart lightbulbs that can be controlled from a mobile app. I will always cherish any Father’s Day gift my children give me, just like my dad did the gifts I gave him. I bought him a World’s Best Dad picture frame when I was nine years old and found it in his toolbox 20 years later — with my picture still in it. The best gift a father can get is spending quality time with his children; the material gifts are secondary. But a thoughtful gift is a way to show dad that you appreciate him. Although, he probably already knows that because he’s your dad, and, as you might have heard many times growing up, he knows a lot. And if you ask him what he wants for Father’s Day, he will probably tell you to save your money. But if you can find a good deal, you can get him a gift while saving money — which is still technically following dad’s advice.